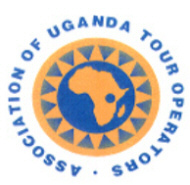 You will be pick up from your hotel in Kampala , briefed and driven southwestwards. Proceed to Mbarara or Kabale for lunch . This Uganda gorilla safari voyage will take you through Uganda rolling green hills to the moorland you will not be surprised if it is just like the Switzerland of Uganda before you reach Bwindi Impenetrable Forest- the home of the only few worlds’ left mountain gorillas! Have an overnight around the mountain rainforest. Popularly known as the home of the Mountain Gorillas, Bwindi Impenetrable National Park gets its names Bwindi from a local language because of its thickness even after the ice age. Locally , Bwindi means ‘impenetrable ’. The Montane Forests in the park creates interest for a breathtaking number of birds and it harbors 23 of the 24 Albertine Rift endemics together with the African Green Broadbill, Bar Tailed Trogon and other beautiful forest species. Take a stopover at the equator for picturesque opportunities . Before , Bwindi Forest was gazetted in 1942 . It later became a national park 1992 and was accepted as a world heritage site in 1994. In the local Rukiga language , the word ‘bwindi’ means impassable so the double warning ‘Bwindi Impenetrable is suitable because Bwindi is all but impenetrable . But if the landscape is far from easy to bargain, it is well worth the effort . A trek through Africa’s most ancient rainforests, in search of the endangered mountain gorilla , ranks among the world foremost wildlife encounters. Wake up very early in the morning for breakfast and transfer to your starting point for briefing to warm you up for the most inspiring activity –Gorilla trekking! Bwindi now has 7 habituated Gorilla tracking families. With your lunch boxes and all the required gear , the ranger guide will lead you to track the extraordinary Mountain Gorilla, possibly one of the most elating wildlife encounter on earth. The ranger guides will give you the knowledge about all the flora and fauna that you will encounter along the gorilla trekking. There are currently only almost 700 still existing in the world! Gorilla tracking is likely to take between 2 and 8 hours but an encounter of the gorillas after along gorilla trek is worth it! If gorilla tracking ends early , you may participate in a guided village walk to interact with the indigenous Batwa Community at an extra cost (US$15-20). OR go back to the Camp in the evening and relax as you wait for dinner and Overnight at the lodge or your budget. After a morning breakfast , leave Bwindi Impenetrable National Park and drive back to Kampala , Lunch en route and also visit to the equator. End of your gorilla safari with AA safaris and tours Ltd. 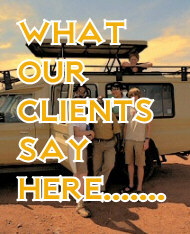 If you wish to do a Rwanda Safari , please do not hesitate to contact us.